Class 1 has had an exciting year, full of activities. At the start of the year, we began learning about Florence Nightingale and Mary Seacole. We were excited to have a visitor (Mrs Paine) who came in to talk to us about nursing today compared with the past. There were some particularly gruesome stories which enthralled us! Similarly, we enjoyed learning more about King Alfred and his good fighting skills in Saxon times. Towards the end of the winter term, we enjoyed our trip to the Stag theatre to see the pantomime, ‘Aladdin’. With the built-up excitement, it surpassed our expectations and thoroughly captured the children’s attention. This was to be our first class trip of many! 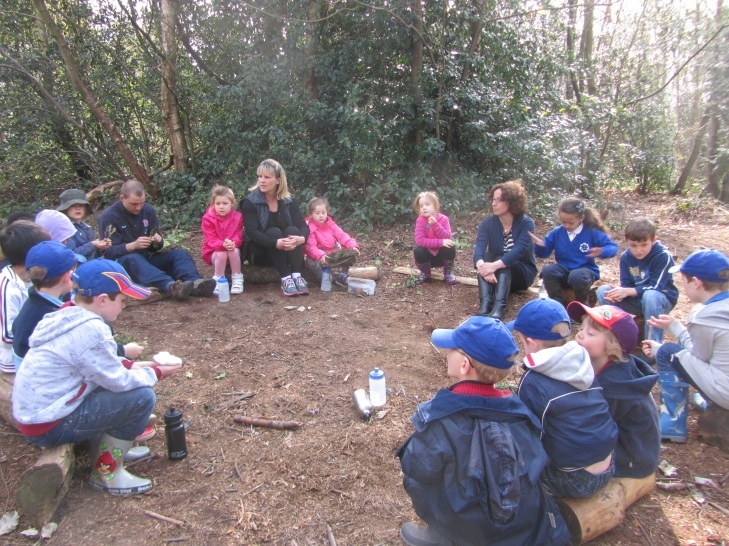 Since then, the children have been fortunate enough to experience ‘Forest School’ during our topic on ‘British Woodlands’. There, the children had the opportunity to develop their social skills and problem-solve in groups. This has helped towards the pupils increasingly coming together with fantastic team spirit, supporting and praising each other’s achievements, which has been a true delight to see. Enhancing our understanding and experience of farming, we visited Godstone Farm. A number of visitors to the farm commented on how nicely the children behaved on this and I was so proud that they represented St. John’s so well. We enjoyed seeing, touching and smelling the farm animals. Our day here brought together our learning from across the curriculum; including our learning of farm animals in science, creating our own stuffed scarecrow in art, and in history, comparing Ancient Egyptian agriculture with modern-day farming. Concluding the year with our topic on the ‘Seaside’, the children are eagerly anticipating the school trip to Camber Sands. We have been reading a range of seaside poems and stories, and look forward to spotting mermaids, building sandcastles, and being grateful that on a hot, sunny day, we are allowed to wear a short-sleeved shirt unlike the Victorians! The children have enjoyed so many different experiences, that it makes it difficult to name just a few. They have met each new adventure with great enthusiasm and willingness to learn. I look forward to watching them progress through the school.